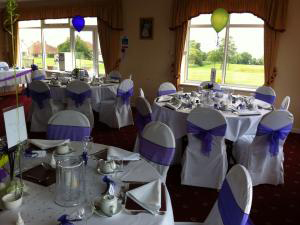 Weddings, Birthdays, Christenings, Anniversaries, In Fact Any Type Of Function Can Be Accommodated. Private functions can also be catered for here at Worlebury, our stunning backdrop overlooking the Bristol Channel and the South Wales Coastline can enhance any wedding, christenings, certain birthdays and even wakes. Businesses are also welcome to use our facilities for seminars, meetings etc. Please submit the Event Booking Form below, or contact our Secretary/Manager on 01934 625789 for further information. Please Note, to avoid embarrassment on the day, we politely ask all visitors to comply with our dress code .